Natural green goddess blogs have popped up and prospered on the web over the past few years. While some of them can be straight-up pseudoscience, there are some at-home remedies that people have sworn by for weight loss, acne, and a slew of other ailments. Did you know that your pup could benefit from some at-home tinctures as well? 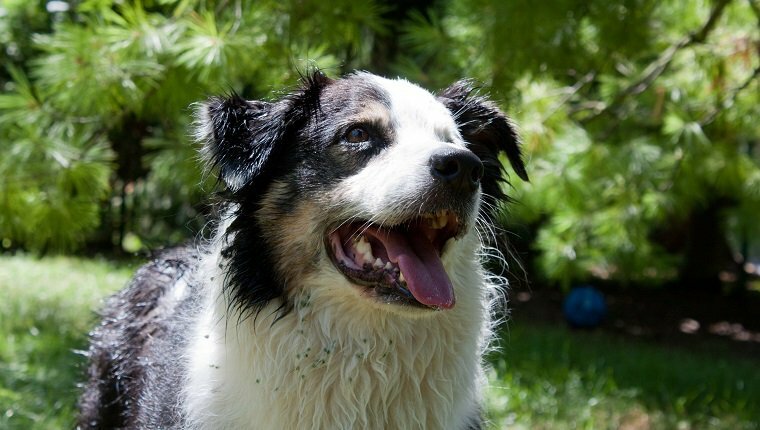 Here’s a roundup of (mostly) natural, at-home remedies for your dog. This goes without saying, but check with your vet before self-diagnosing and treating your pup. Actress Jamie Lee Curtis and doctors alike preach about the wonderful benefits of yogurt for your digestive tract. Turns out, all of that good bacteria found in yogurt–live acidophilus–keeps the good bacteria balanced in your dog’s gut. It is also great as a preventative measure for yeast infections, to which puppies can be especially prone. Try mixing up a little plain yogurt in your dog’s food. 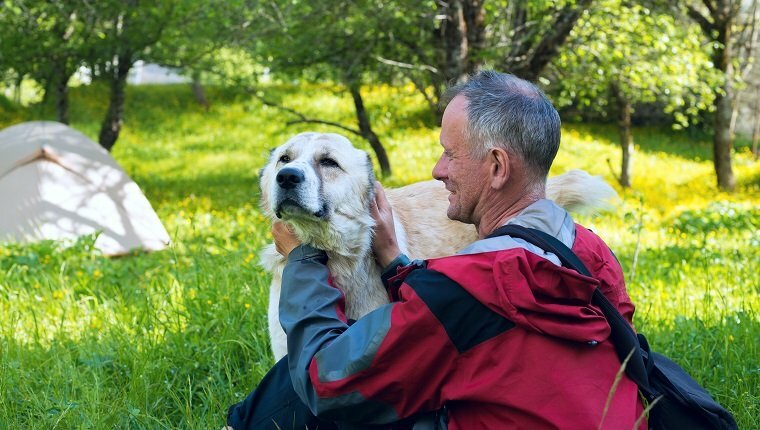 If you and your pup fancy yourself as outdoor types, you probably encountered burs, twigs, and who-knows-what-else lodged into your pup’s fur on your hikes. Some particularly stubborn burs really latch into the fur, or worse, skin. Put gloves on (to protect yourself from also getting pricked) and slather the bur and fur around it with Crisco. The greasy kitchen staple helps you pry the burs out with ease. Be sure to wash your pup afterwards to prevent grease stains from showing up all over their favorite lounging spot. If your dog constantly itches or their skin appears red, a little herb called calendula can work wonders. Calendula possesses anti-inflammatory and antiseptic properties, which helps dogs with skin allergies or over-scratched areas. Most health food stores sell calendula tincture. Dilute the tincture with water and spray topically over irritated areas. As always, if your dog shows signs of itchiness, check for fleas and talk to your vet about your pup’s diet. Apple Cider Vinegar pops up as some sort of miracle worker on a lot of health blogs lately. Turns out, it can be helpful for your pup, too. If your dog suffers from itchy ears or has long, floppy ears, a solution of half ACV and half purified water makes for an ideal ear cleaner. Soak a cotton ball in the solution and gently wipe out your dog’s ear until no more gunk or debris shows up. Fleas are known to be repelled by citrus. For a natural way of repelling the blood suckers, take the juice of a freshly squeezed orange or lemon and rub it onto your pet’s fur. Do NOT, however, give your dog (or cat) oil extracts from lemons and oranges. 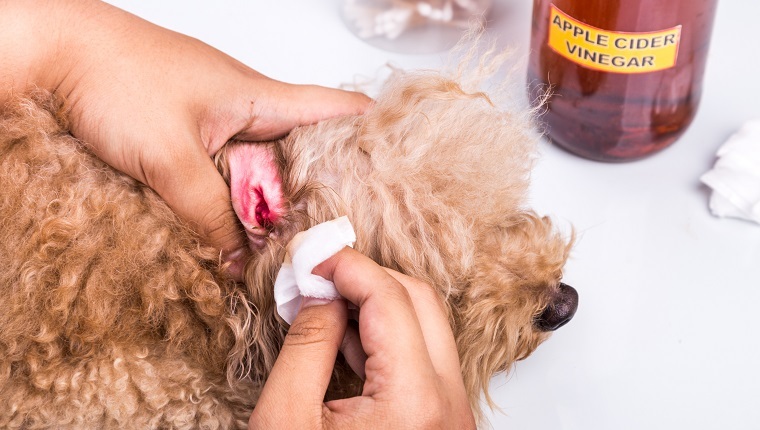 These extracts contain limonene, which IS a good insect repellent, but is extremely irritating to the skin and can wreck severe damage to your pet’s liver. The fresh juice of lemons and oranges, however, does not contain limonene, as it is found in the rind of the fruit, so it is OK to apply topically to your pet’s fur. I know we said it once, but it bears repeating: ALWAYS check with your vet before playing doctor with your dog. Have you used any natural remedies for your pup? Let us know in the comments things that have worked!